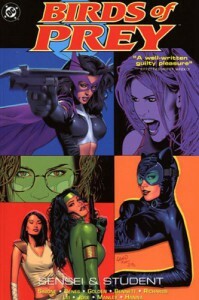 The second book in Gail Simone's sublime "Birds of Prey" run! As good as her debut was, Simone manages to improve just about every aspect of her storytelling this time around! The heroines (especially Black Canary) are given more backstory and are amazingly well-developed as a result. Even more impressive, Simone took Lady Shiva and Cheshire, two villains I always found bland and one-dimensional, and managed to make them far more chilling and compelling than ever before! More action, more drama, more laughs, anyone who is looking for a great adventure starring charismatic and intelligent women needs to check out Gail Simone's BOP run!